The modern Residence Bray-Dunes Margats is a stone's throw from the sea and the beach and features various types of apartments. There's a 4-person type (FR-59123-01) with two bedrooms with a double bed or twin beds. Or a 5-person apartment (FR-59123-04) with one bedroom with a double bed and a sleeping area with a 3-person bunk bed. There's also a 6-person type (FR-59123-05) with an easily convertible double bed in the living room and two bedrooms, one with a double bed and one with a bunk bed. All apartments are modern and comfortably furnished. For example, there's a dishwasher, a combination microwave and a bathroom with a shower and toilet. 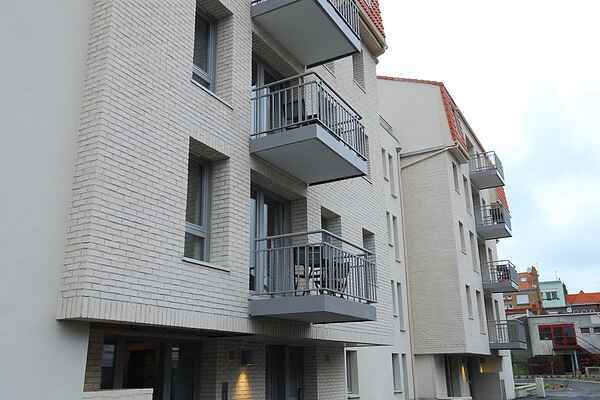 All apartments have a balcony with garden furniture.